In broad terms, communication theory attempts to explain the production of information, how this information is transmitted, the methods used to convey it, and how meaning is thereby created and shared. Theories make certain assumptions about a phenomenon – in this case, communication – and apply rules (axioms) which predict how the phenomenon will behave, if the basic assumptions are correct. For example in Information Theory (Claude Shannon and Warren Weaver), it is assumed that noise is the enemy of information. So, it is proposed that noise reduces information-carrying capacity. This can be tested, for example, by having someone read a text to another in a quiet library, in a crowded coffee shop, and at a rock concert, and then quizzing them on their understanding of the text. The theory predicts that as the amount of environmental noise increases so the amount of information transmitted will be reduced. Indeed, it is highly likely that the person hearing the text spoken in the library will have received and understood more of the information contained in the text than the person hearing it at the rock concert. This ability to predict behavior/outcomes – based on the assumptions and axioms – which can then be tested, is a characteristic of all theories. It is relatively easy to understand what is being stated here. For example, when using speech in a face-to-face conversation, there are only so many words a person can physically speak per minute, there is a limit to just how loudly a person can speak, and so on. This is the capacity limit. Now, if you are trying to speak at the rock concert, owing to excessive environmental noise, you will probably have to repeat yourself several times in order to be heard and understood. This, clearly, reduces the amount of information that can be sent in the same amount of time. Thus, any increase in noise means that there is less ‘room’ for information. Models are conceptual frameworks that describe the application of a theory to particular cases. For example, when developing Information Theory, Claude Shannon was actually only concerned with explaining the electronic transmission of signals through a telephone line. He was an engineer employed by the Bell telephone Company to determine how to gain maximum line capacity with the minimum amount of distortion (noise). His research led to a complicated mathematical explanation. It was only when his work was matched with the insights of Warren Weaver that a so-called transmission model was applied as a description of human communication in face-to-face interactions. 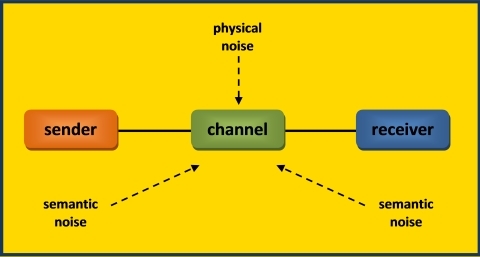 As the transmission model was underpinned by Information Theory, it was natural that human communication was described in terms of a sender – channel – receiver sequence, in which the goal remained the reduction of noise in order that the maximum amount of information could be sent from speaker to hearer. Physical noise is the environmental noises we have alluded to earlier, e.g. loud rock music, loud wind, the sound of waves hitting the shore. Semantic noise refers to distortions in meaning originating from the sender and/or the receiver, such as when the sender and receiver do not share a common language. For example, someone could be talking at length in Vietnamese but you simply do not understand the language. 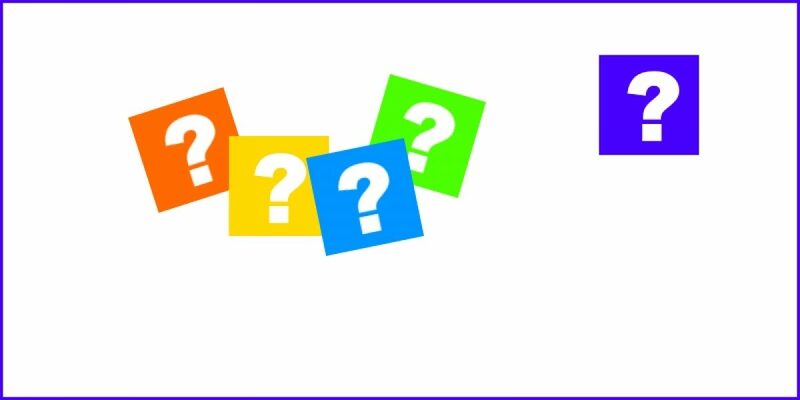 Or a speaker may make incorrect assumptions about how much shared knowledge you both possess – they may assume you know all about uncle John’s recent fall but if you do not then the communication potentially breaks down (see Figure 1). So, models help us to better understand features of a phenomenon in specific circumstances, typically being underpinned by a particular theory. They are, of course, not the phenomenon itself but merely a representation of it. No model can incorporate every aspect of the phenomenon it seeks to describe (see Communication Model). Communication as an area of study is vast and there are many theories: far too many to consider in this article. However, communication theories can be divided into five groups. These are listed below, together with a brief description of just one theory that exemplifies the group. These theories seek to explain how individuals process information and create meaning. Theory of Mind refers to our ability to infer other people’s mental states (their thoughts, beliefs, desires, intentions, and so on). It also considers our ability to use these insights to interpret what people say, make sense of their behavior, and predict what they may do next. It is argued that a theory of mind is essential for efficient verbal communication. For example, I do not have to encode all my meaning linguistically in order to be understood. I could simply say, “It’s gone!” and, in the context, of someone flapping their hand at a wasp that had been buzzing around their head, this would be readily understood. I do not have to encode the longer utterance, “You can now stop flapping your hand wildly in the air above your head, as the wasp that was just this moment making you feel anxious has flown away.” Instead, because I have a theory of mind, I can assume that the other person is capable of inferring in the same way that I am and simply utter, “It’s gone!” I can assume that they will infer my meaning. These communication theories strive to explain how two individuals interact and influence each other. Cognitive dissonance is the psychological discomfort we feel when there is a discrepancy between what we already know or believe, and any new information we receive which challenges our knowledge or beliefs. For example, a student who has believed in God all their life may have their beliefs debunked through participation in a sociology course. This creates an uncomfortable psychological state which the student seeks to alleviate. The student, therefore, either has to accommodate the new ideas or find ways of minimizing their impact. In many instances, people will deny or avoid the information all together. In this way, the unpleasant psychological state is relieved. Cognitive dissonance theory, then, seeks to explain the ways in which people either accommodate new ideas or deny them when faced with incompatible beliefs. Group theories attempt to explain how larger groups of people jointly make sense of information, make decisions and agree on joint actions, and so on. Researchers have demonstrated that certain social groups vary their style of communication in a systematically different way to other social groups. Features such as syntax (word order), morphology (word structure), vocabulary and phonology (speech sound usage) are typically altered in a methodical manner. This observation leads to the concept of accommodation. For example, if I wish to identify myself as a member of a particular social group (golf club, occupational group, Manchester United football supporters’ group, and so on) it is likely that I will accommodate the style of speaking promoted by that particular group. This tends to reinforce group cohesion and solidarity. The style of speaking will identify me as being in or outside the group. The converse of this will also operate, i.e. if the group wishes to actively keep others at a distance and restrict access, the language and speech developed may be so esoteric that it is difficult, if not impossible, for outsiders to accommodate the style of speaking. In summary, the particular style of speaking, as identified by syntactic, morphological, lexical (i.e. vocabulary) and phonological choices, is one of the strongest indicators of affiliation to a particular social group. Here, the focus is on explaining how communication events function in more formal organizations such as schools, hospitals, multi-national companies, and so on. This approach argues that organizations have their own culture. Culture itself is viewed as a system of shared meanings. Members of an organization learn the corporate culture through stories (metaphors) that dramatize the corporate life. There are corporate stories that serve to reinforce corporate policies these typically convey the information the management wants the employees to have. There are personal stories told by the employees which function to define themselves and their place within the organization. Collegial stories are stories that are typically not sanctioned by the management and which employees tell about each other – they dramatize how the organization actually works. Sometimes referred to as mass communication, public communication theories try to explain how the agenda of important political issues is influenced by mass media (e.g. newspapers, television, radio) at the societal level. Theorists in this tradition are primarily concerned with the power and influence of the media. In particular, because the media are typically owned by large corporations, theorists are concerned with the profit-motive of media activities and how the need to make a profit, to appease shareholders, influences the type of information presented to the public. Cultural studies also seeks to explain how the media set the public agenda: the ways in which they tell the public what to think about, what to think about it, and what to do about it.